Of all the friends in the world, no one is as curious as George! 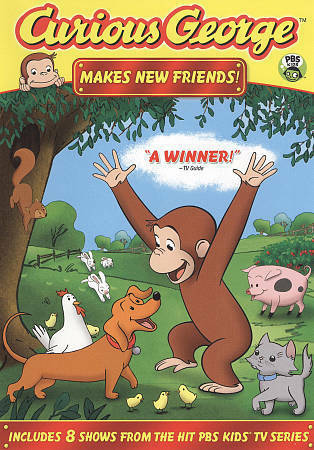 Curious George loves to meet people and make friends of all shapes and sizes. And his friends are always right alongside of him to share in his adventures.Join your favorite pal for eight stories of friendship and fun from his Daytime Emmy® Award-winning PBS KIDS® TV Series in Curious George Makes New Friends!